THE LIVINGSTON 4th OF JULY COMMITTEE; raises funds and promotes the Livingston 4th of July Celebration. The Biggest Festival and Fireworks Show in the Valley. 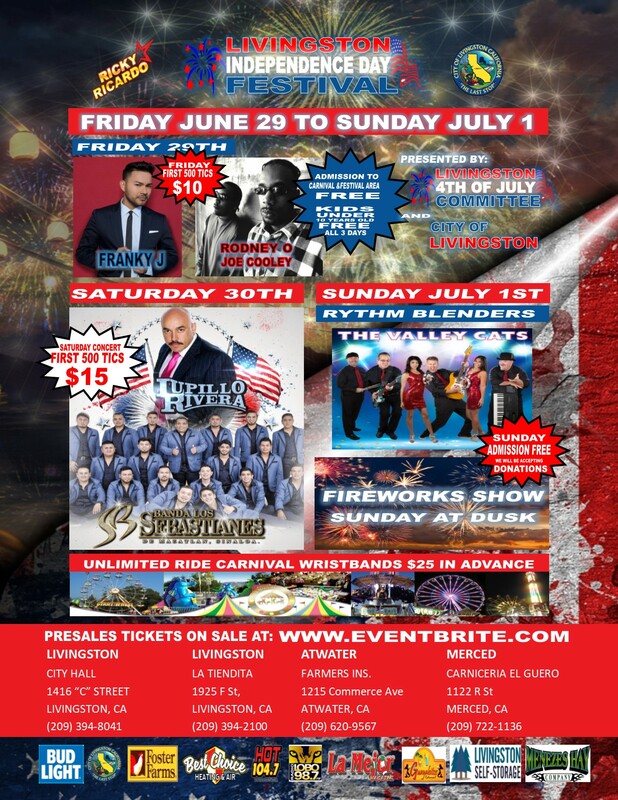 The Livingston 4th of July Committee hosts the Annual 4th of July Festival and Fireworks Show in Honor of our Men and Women in the Military, Law Enforcement, Firefighters; and in Memory of those who made the ultimate sacrifice. OUR MISSION IS STATEMENT; To provide the City of Livingston and surrounding communities with a safe patriotic event which commemorates the declaration of our nation’s independence; to foster true patriotism and appreciation of our Armed Forces and Veterans through the world as well as honoring our fallen hero’s. Like us on Facebook: www.facebook.com/Livingston4thofjuly for updates. 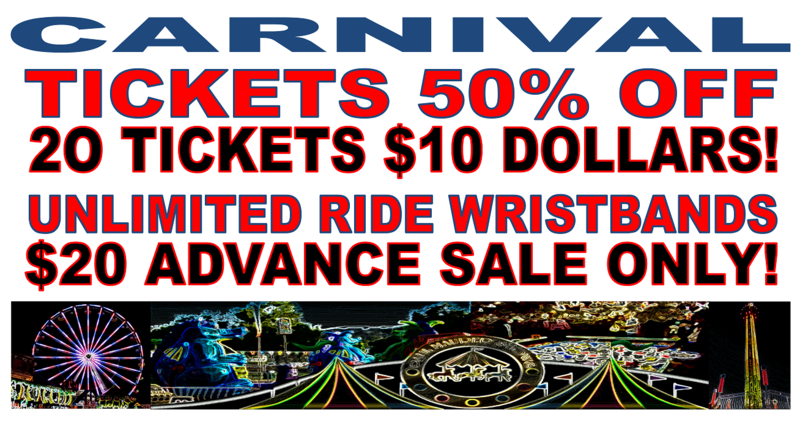 WHATS IN STORE FOR 2018; The event will provide a fair-like atmosphere with the Paul Maurer Shows Carnival, lots of Food and Craft Vendors, and Live Bands featuring Franky J, Rodney O & Joe Cooley, Banda Los Sabastianes, LUPILLO RIVERRA, The Valley Cats Band and the BIGGEST FIREWORKS SPECTACULAR YET! The Festival attracts an average of about 50,000 spectators from around the valley over the course of the three day event. The Livingston Police Department will be present along with the Police Explorers to help with crowd control and safety.